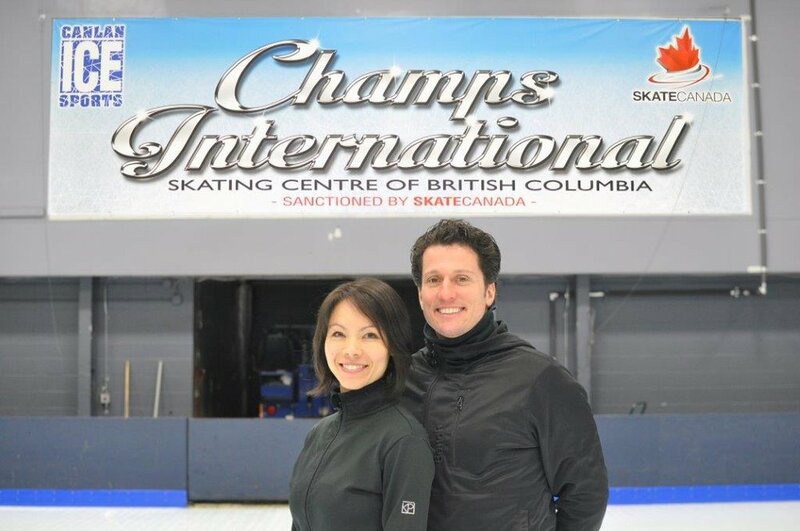 The premiere international ice dance training program on the West Coast of North America. The Ice Dance Directors and Head Coaches are Olympians Megan Wing and Aaron Lowe. Together they have produced numerous national and international medalists and consistently have multiple teams on the ISU circuit each year. They provide elite training for all levels of competitive ice dance utilizing a comprehensive, multi-faceted program with both private and group lessons. Off ice training includes ballet, ballroom, contemporary dance, and strengthening and conditioning. Champs International Skating Centre offers 40 hours of competitive ice dance sessions weekly throughout the year. An Ice Dance training program for young dance teams or individuals who dream of competing in ice dance and those who want to test their dances. Former Olympians Megan Wing and Aaron Lower emphasize fun, hard work, and camraderie in their approach to learning the basics of ice dance, utilizing both private and group lessons. Champs International Skating Centre offers developmental sessions in the early morning as well as after school training. Our developmental dance program compliments the single skater and their coach from outside our training centre with additional development towards becoming a well-balanced skater. Ice Dance at Champs International Skating Centre of BC is directed by Megan Wing and Aaron Lowe. Wing & Lowe are 2006 Olympians, five-time World Competitors, 11-time Canadian National medalists and two-time Four Continents Championship medalists. They have been coaching full-time at Champs since 2007. They were the 2011 Skate Canada Competitive Coaches of the Year.